The outdoor pool at Nelson Park has been a popular gathering area for the City of Burlington since 1963. In 2015, after a harsh winter season, the City conducted a pool inspection. The inspector determined that the existing pool tank's steel structure had corroded beyond repair. Following the inspection, a Structural Engineer deemed the pool unsafe for public use and the pool was closed. The City was left with a choice; close the pool permanently or replace the pool. After overwhelming community support, the City approved the replacement project. Joining the project team in 2016, Acapulco was responsible for the construction of Nelson Pool's new outdoor aquatic centre. 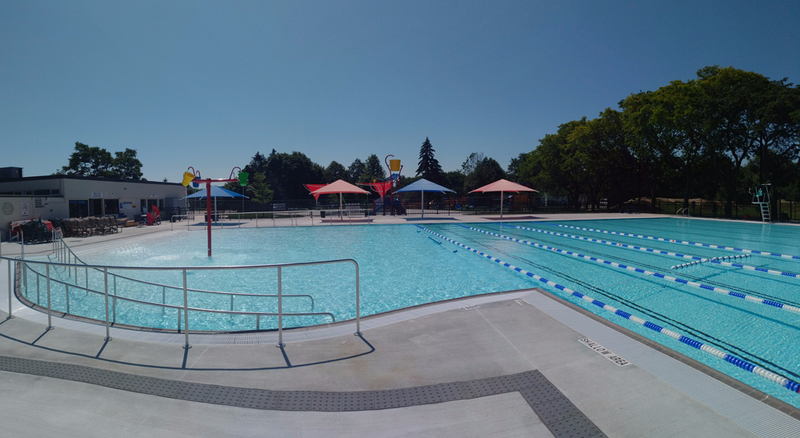 To the excitment of the community, the new and improved Nelson Pool opened to the public earlier than expected and just in time for the 2017 summer season. The new facility is complete with an eight-lane, 50M pool with an adjoining beach-entry leisure pool and an adjacent splash pad. The climbing wall and diving boards are extra perks, enhancing the overall experience at the pool. 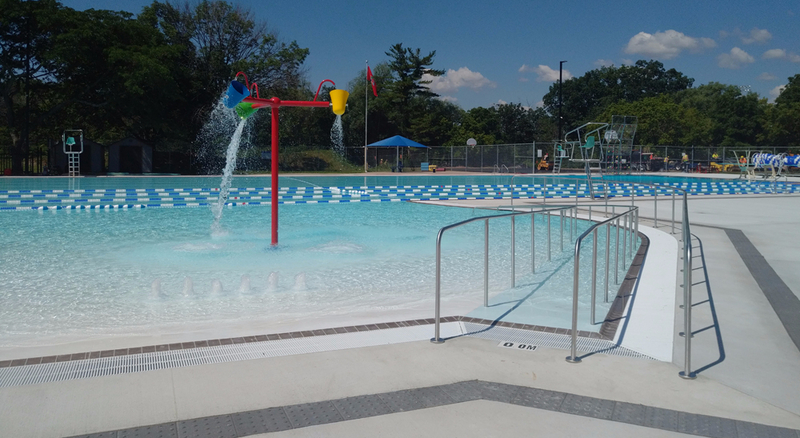 The replacement project allowed the City to improve accessibility at this community pool. A zero depth beach entry was included in the design of the leisure pool, along with an accessible ramp allowing swimmers of all physical abilities to enjoy the facility! 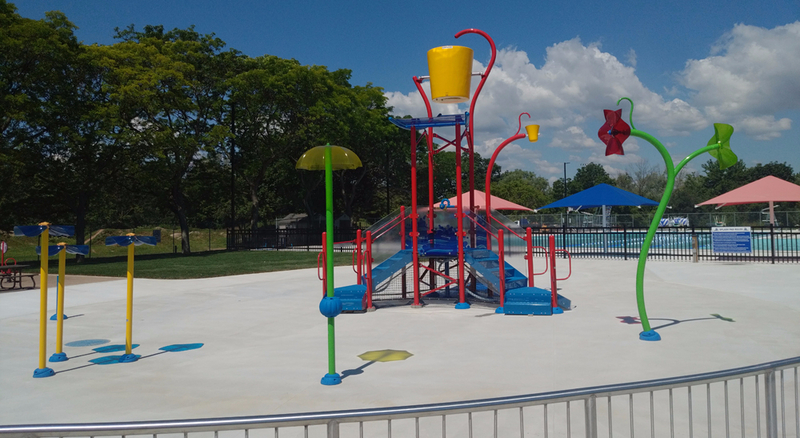 Designed and installed to engage children of all ages, the splash pad features bright spray features, supplied by ABC Recreation Limited. Ground sprays projecting water upwards and outwards, a giant tipping bucket and small animal spray features are only a few of the exciting spray features you can find at the new splash pad.